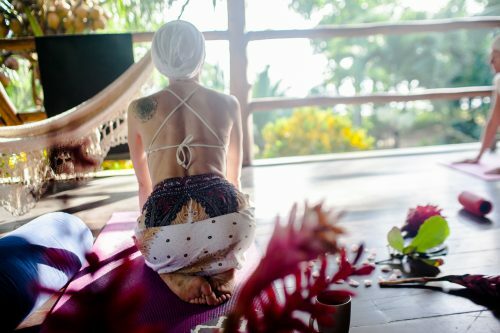 Come join us for another incredible Kundalini and Hatha yoga experience in Bocas del Toro, Panama. This intimate retreat is right on the tiny island of Isla Caranero. 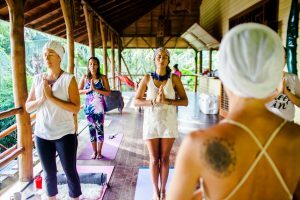 More than a yoga retreat our intention is to live communally and intentionally and create love and connection through our practice of yoga and spirituality. We will sing, dance, practice, mediatate with the sun, the moon, stars and the ocean. Come join us and awaken to bliss. 1568CAD shared accommodations until October 1st. 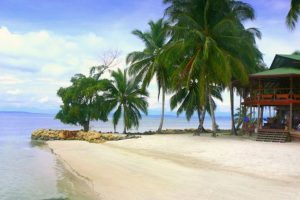 This includes all yoga, meals, great vibes, accommodations, yoga props and pick up and drop off at Bocas Del Toro airport. 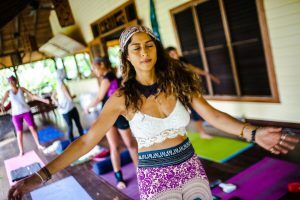 Katherine Croston is the founder of Yorepa, and she LOVES to travel and visit her teachers worldwide to learn more and keep sharing the love on her retreats. She is obsessed with nature, elevating herself and other people and the power of Love. Katherine is also a trained Vinyasa and Kundalini Yoga teacher as well as a certified Health Coach and chef. Kathy’s focus is simple; to show people that their true nature is love and happiness, and that it is a Science that we all can access. Period. She understands that in order to be happy and free that human beings need commitment. A commitment to ourselves to be real, to be true, and to know when to let go of whatever is holding us back from becoming love. She believes in the power of the universe and that it is constantly working in our favor, we just need to align ourselves with it. She describes it as a telephone call, we need to dial the right numbers to get a hold of the right energy, and everything else starts unfolding. Her techniques address Vinyasa style alignment, Bhakti Yoga in its devotion and lessons in love as well as Kundalini yoga for its power for deep transformation and manifesting our highest self. Classes include Asanas (Postures), Mudras (Hand Energetics), Pranayama (Breathing Exercises), and Mantras (Sanskrit Repetition for Transformation). Kasia Kordis a registered massage therapist, cranial sacral therapist, a mommy, hooper, life lover and yogi. She teaches Kundalini Yoga classes, holds spiritual gatherings and workshops in her hometown of Waterloo, Ontario, Canada and around Ontario and Central America. With a Bachelor Degree in Religious Studies from the University of Waterloo, Kasia has been studying and practicing yoga for over 20 years, and teaching for over 15. She has trained in a wide variety of styles, with Kundalini being her passion for the past 10 years. She has attended numerous training’s and annual gatherings in the Kundalini community throughout North America. Kasia has also completed an intensive Kundalini Yoga teacher training through the Kundalini Yoga Research Institute(KRI), with Gurmukh Kaur Khalsa and Gurshabd Singh in Rishikesh India and is a certified KRI Kundalini Yoga Instructor as taught by Yogi Bhajan. Kundalini is a passion for Kasia, it combines movement, meditation, music, chanting or singing, dance, breath and positive vibrations in one powerful package. You really get to sweat, getting to all those spots in the body and mind that have been buried. One of the key mantras of this practice is “bountiful, beautiful and blissful”. Kundalini yoga helps us bring this forth through powerful movement, intense internal exploration and song. 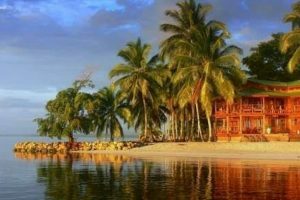 On Isla Carenero, Bocas del Toro, the ideal tropical vacation for countless fun activities and thrilling vacation for everyone. 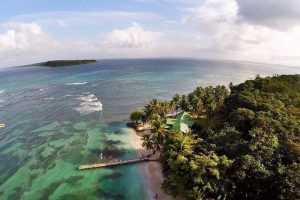 Discover the the Caribbean Sea, exotic wildlife, experience island living and relax on the magnificent sandy beaches.Five minutes away from the town of Bocas and the local airport, an hour plane ride to Panana City. Dining with some of the freshest seafood and fruits, as well as nightlife and endless array of daytime activities from world-class snorkeling and surfing. The Lodge combines creativity with practicality while always taking advantage of the natural ambiance of the Caribbean. The 5,000 sq. ft. Lodge includes five master bedrooms each with a private terrace, a king-sized bed and en-suit bathroom. With the additional lofted bedroom, the Lodge can accommodate a total of 14 guests. All rooms are equipped with high-speed wireless Internet. A 42′ TV to enjoy movies and the use of a local cellular phone during your stay. Kundalini and Coffee at DVLB in Waterloo. Kundalini, Coffee and Great Vibes.